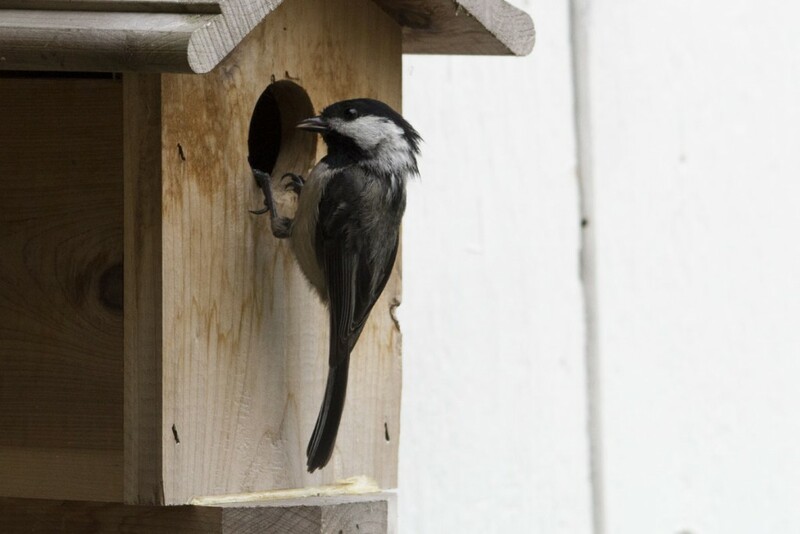 This is a follow-up post to the continuing saga of Chickadees choosing to make a nest in a birdhouse right near my window. The babies have hatched! I know this not because I’ve looked into the birdhouse, but from observing the parent chickadee behavior. 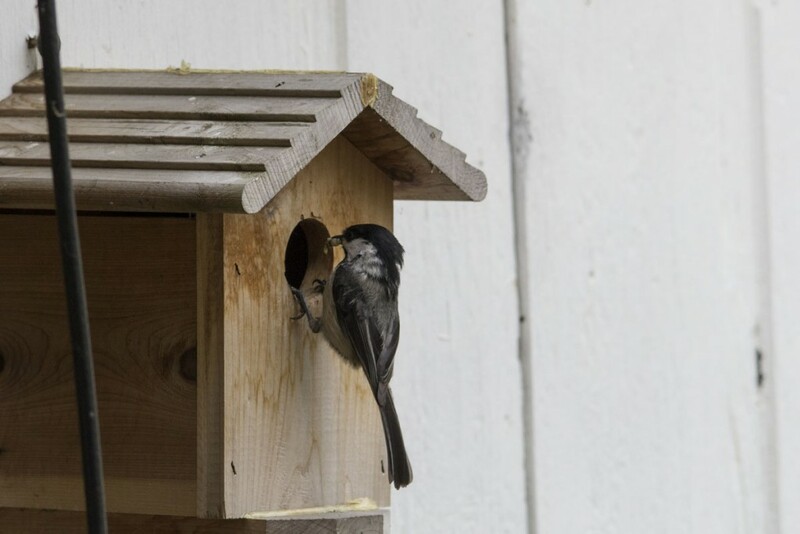 The bird house was really quiet for a couple of weeks, but now the parent or parents are busy going in and out of it! I can see that they have food in their beaks. It looks like they are finding little garden worms or grubs. I imagine that like human babies, hatchlings need soft food, as their beaks aren’t fully developed yet. I also stood in front of the bird house and by listening very carefully, I could hear the baby chickadees make little sounds! And then the Mom showed up with her food for them! I know people do inspect bird nests with flashlights and small mirrors to count the eggs or babies, but I don’t want to do anything to disturb them. I am just going to be patient and wait until they’re ready to leave the nest. There is concrete under the bird house, so I’m going to put something soft down incase the babies fall out. I don’t want them to get hurt! The Black-Capped Chickadees are very cautious. They try to make sure that no other bird sees them going to and from the nest. But they seem to think that us humans are OK! 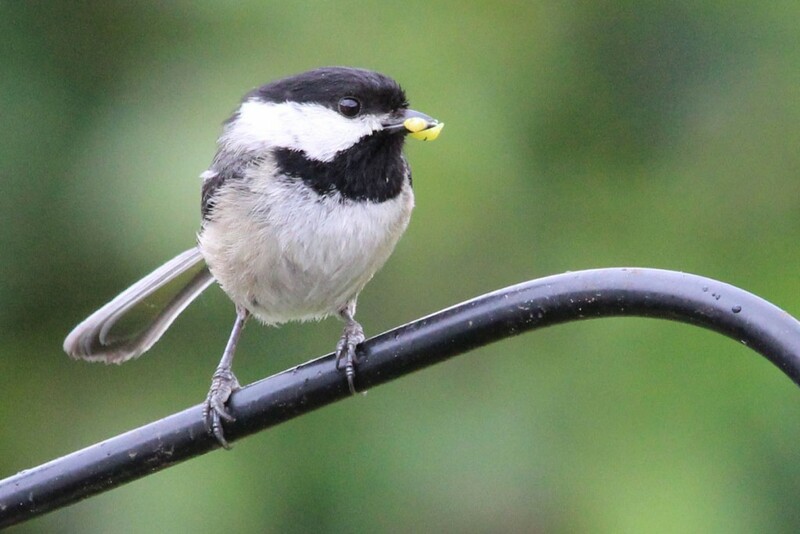 This entry was posted in Backyard Birds, Chickadees on May 13, 2015 by Linnea.